Four-time Academy Award nominee Jeff Bridges has received tremendous acclaim for his deeply felt and richly detailed performance as Bad Blake, a broken-down, hard-living country music singer in writer-director Scott Cooper's debut feature Crazy Heart. 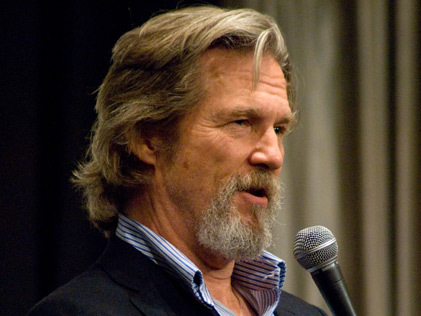 Bridges has appeared in more than 70 films, including Fat City, The Fisher King, and The Big Lebowski. As Bad Blake, who has had too many drinks, too many marriages, and too many years on the road, Bridges not only gives a powerful dramatic performance, but also performs songs by T-Bone Burnett. Bridges and Cooper spoke after a special Museum of the Moving Image screening. (Note: the audio quality is poor).